Biotin is also known as B7 and is a key to maintaining healthy metabolic, nerve, digestive, and cardiovascular functions. Biotin plays a major role in maintaining the health of our skin, hair, and nails. Biotin supports thyroid and renal function, supports metabolism and boosts keratin infrastructure. Ask our staff about our 10 shot special. 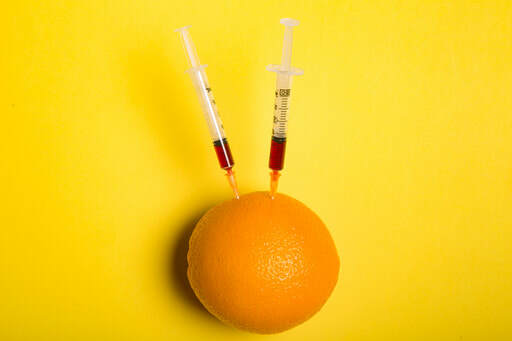 Receive the full effect and instant absorption when you have a Vitamin C injection. Vitamin C is especially great for people who suffer from fatigue, headaches, frequent infections, and weight loss. Improve cellular function and increase your energy with a B12 shot. B12 plays a vital role in brain function and the production of DNA and red blood cells. B12 is known to support bone health, assist with anemia prevention, supports healthy skin, nails and hair. B12 is only found naturally in animal products so this shot is especially beneficial for those following a vegan lifestyle. 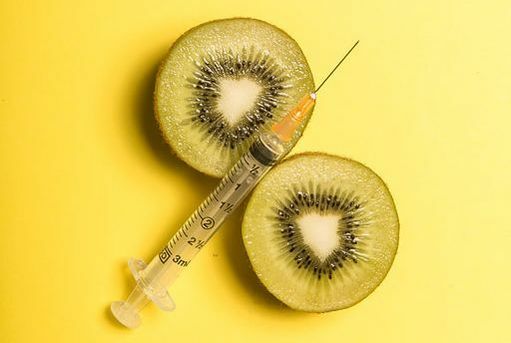 This shot has all the benefits of B12 plus the added benefit of increasing red blood cell production, liver function and maintaining skin function. B vitamins can also play a role in improving your mood, mental agility and best of all boosts your energy! When you need a little added vitamin B this is the shot for you. This is a great shot for the super busy and if you're feeling worn out. This is a shot with two powerful antioxidants that provide immune system support, detoxifies your body, removes free radicals, boosts energy levels, and improves neurodegenerative diseases. If you are interested in improving the strength, appearance, and overall health of your skin, hair, nails, and eyes then this is the shot for you. Increase metabolism and promote fat burning with this shot. This weight loss complex is produced in Adelaide, using a very specific formula known to deliver a 'punch'! This shot aids in the metabolism of fats and helps reduce blood cholesterol. A mix of antioxidants that stimulate neurotransmitters known to control mood and appetite. A mix of CoQ10 and Carnitine often referred to as the "Twin Pillars for Healing"! This is the ultimate supplement for your heart health, these two elements together produce energy. When your body is energised you think more clearly, get moving, increase your energy, and give your body a better chance to fight infection. You can combine any of our shots and receive a special price. When you visit The IV Lounge you will meet with one of our medical staff and they can tailor make a health program to suit your needs. 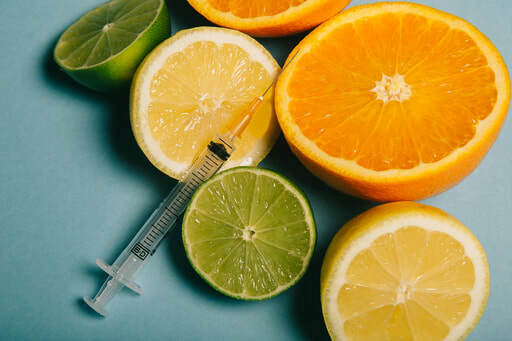 For example if you are looking to improve the overall health of your skin then a great combination is Vitamin C and Biotin also good for nails and hair. Please talk to one of the RN's in your appointment about your need and we can tailor make a package for you.